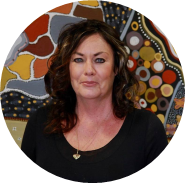 Sharyn is a highly experienced Executive Officer, having previously worked for a number of private and public sector entities both in Australia and abroad. Sharyn has held the position of Executive Officer at MG Corporation since 2017. Sharyn’s role is to ensure that all reporting requirements under the CATSI Act are met, the governance of the corporation is adhered to and decision making is aligned with principles of good governance. Sharyn brings highly developed governance and stakeholder management skills to MG Corporation and provides MG Corporation with robust advice and guidance with respect to the governance of the corporation and its related entities.